This talk will present ongoing work to implement a new backend for the Scala compiler that targets the Low Level Virtual Machine (LLVM). LLVM aims to provide a universal intermediate representation for compilers to target and a framework for program transformations and analyses. LLVM also provides facilities for ahead-of-time and just-in-time native code generation. Targeting LLVM allows us to take advantage of this framework to compile Scala source code to optimized native executables. I will discuss the design and implementation of the backend and runtime system. 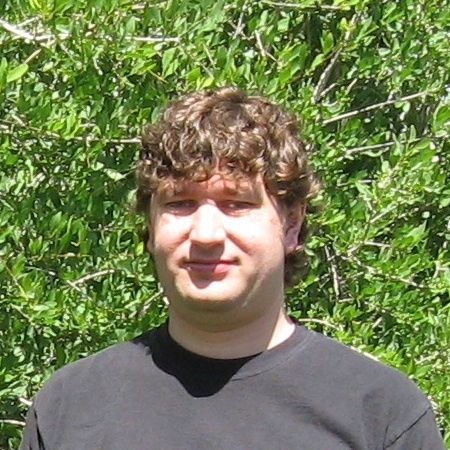 Geoff Reedy is a self-confessed programming languages geek from Albuquerque, NM. He cut his teeth with Perl and C, moved on to Python, then saw the light of strong static typing and functional programming in Scala, Haskell, OCaml (but he still likes Python sometimes). He holds equal interest in programming language theory, design and implementation. His current big project is an LLVM backend for the Scala compiler.